Some big changes were announced by Snapchat on Saturday. First, the company is changing its corporate name to Snap, Inc. While the name of the parent company is being shortened, the messaging app itself will continue to be called Snapchat. The reason for the name change has to do with the idea that the company is comprised of more than just the app. To that end, Snap is going to be releasing its first hardware product. 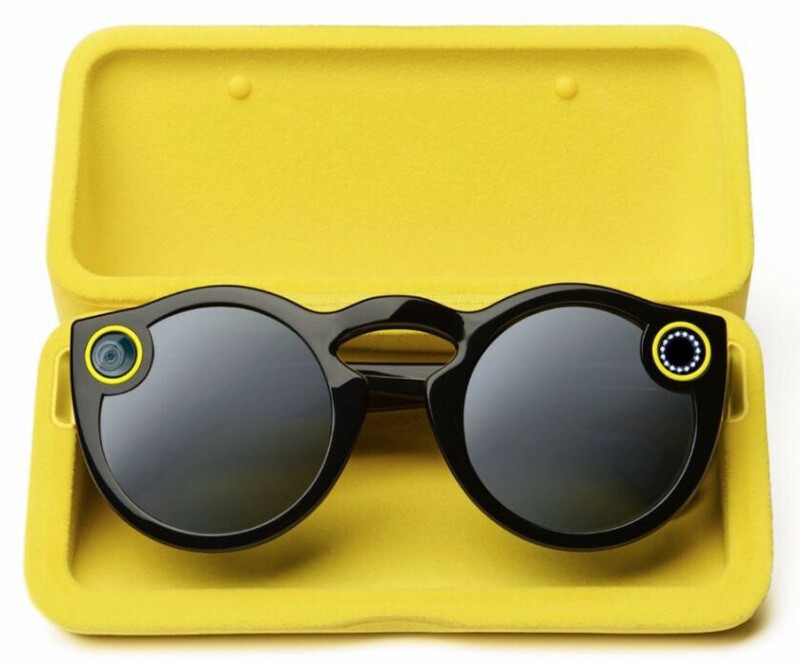 Called Spectacles, this device is made up of a pair of sunglasses containing a video camera near the right lens. Right by the left lens is a light that turns on to alert people that the glasses are recording. Pressing a button near the hinge will record 10-seconds of video from the wearer's point-of-view. Each time the button is tapped, another 10-seconds is recorded. Press three-times for a maximum 30-seconds of recording. The battery will run all day, and the portable charging case allows Spectacles to be charged up as many as four times. Expected to be priced at $129.99, Spectacles will be offered in black, teal or coral. One size will fit all. Snap CEO Evan Spiegel calls it a toy, but adds that it is different than using a smartphone camera to shoot video for several reasons. One, users will be able to have access to both hands while taking video. It also uses a wider 115-degree-angle lens. Videos can be wirelessly sent to smartphones from where they can be shared on social media sites. Spiegel says that Snap is planning on a slow rollout. "It’s about us figuring out if it fits into people’s lives and seeing how they like it," he said. The limited distribution might just make this the hot toy for kids and adults this coming holiday season. Those are some fugly shades........in my opinion of course. worst form of google glass...some companies doesnt learn. The quality is awful, and with the lack of OIS makes it cringy AF. Also, horrendous design. It's just an ugly pair of glasses with a camera attached. Someone didn't quite learn from google glass, people do not want a camera watching them like that, a phone you need to take out and such is one thing, but something you just need to wear and can record with? Whoever wears these deserves to get cancer. Don't they remeber that thus is why glass failed.